Network consolidation may be a must in the relatively near future. But that doesn’t necessarily mean that it has to be Sprint and T-Mobile that merge. In fact, New York Post‘s sources claim that it won’t happen and that the FCC and DoJ are very skeptical on the matter. Even going so far as to say that it’s “dead”. This would go along with another report published recently by Re/code, also claiming that a deal between SoftBank and T-Mobile is far from imminent. Regulators are skeptical of such a merger, a second source said of the talked-about tie-up. But perhaps more interesting is another claim made by the publication a little further down in the piece. In January, Sprint angered FCC Chairman Tom Wheeler when a story appeared in the Wall Street Journal about a proposed Sprint-T-Mobile deal the morning Sprint was scheduled to meet with Wheeler to discuss the possible bid, a third source said. Now, there’s no telling the validity of these claims. Source information isn’t always on the money, but it’s an interesting thought nonetheless. With the number of reports we’ve seen claiming the company wants to make a deal to buyout Deutsche Telekom’s stake in TMUS, it’s worth considering how desperate SoftBank’s chairman and CEO is. Perhaps he sees it as Sprint’s only way to compete in the marketplace effectively, making his investment worthwhile. Sounds right on the money to me. Sprint has a MOUNTAIN to climb to gain back relevance in the mindshare of the industry. Most of what they are promising with network in the future isn’t anything that would make most current tmobile customers look at longingly if they are getting decent LTE coverage now. I even will go as far to say Sprint likely won’t have LTE quality coverage and quality equal to tmobile US as it stands today by the time tmobile is done with their full edge to LTE conversion by this time next year. I’m basing this just on the historical network commitments both these companies have kept in the last several years. I’ll take that bet. I also make a bet on the S/TMUS merger going through. Sprint wants to compete, but they continue to charge Verizon rates and have a network slower than T-Mobile. If they want “scale”, then take that 50B and pick up US-Cellular, C-Spire, and NTelos. Build your network and make it faster today, not in three years. Offer competitive rates. End contracts. Offer international data. End overages. Stop locking your phones. Sell Windows Phones. Get Wifi Calling. All the things that make T-Mobile great, Sprint doesn’t have. Exactly.. The reason T-Mobile is so competitive is because they are lean and efficient.. they can roll out onto new spectrum very quickly because they invest in their network and keep a hands on approach with it..
Why would they do that? Sprint already has practically fluid roaming agreements with all three of these carriers, it wouldn’t expand their spectrum any at all. For example, I used to live in Martinsburg, WV, and Sprint, nTelos, and USC all had the exact same coverage… because they all used nTelos towers. Same with nTelos and USC in DC, they all use Sprint. Roaming is a pathetic 300mb at 1x speed, its a waste of money. Verizon can buy out any of those carriers and Sprint will have a large black hole on their coverage map. Either Sprint buys them, or Verizon will. Don’t forget UMTS/HSPA. This is a much better 3G network than CDMA/EV. I feel like you havent read any sprint news in the past year. they have contracts for those that want them, for those that dont they offer other plans. On sprint framily for 45 a month i can get unlimited everything, same plan would cost 80 on tmobile. They have windows phones, just not a great selection because windows phones dont sell worth crap in comparison. outside of nokia what is the newest windows phones? cuz sprint has em both. sprint has been offering devices for over a year now that unlock and can be used overseas, soon enough they will be offering devices that are unlockable for domestic use as well. You’re 45 a month is with multiple lines. Same deal on tmobile. T-mobile.com only shows me up to 5 lines so this is all i can base it off of. line 1 would pay 80, line 2 pays 60 and then lines 3-5 pay 40. so while yes lines 3-5 get a decent deal, lines 1/2 get the short end of the stick, if you were to “share” some of the extra costs then you are looking at more than sprint. Oh, so you’re one of those people who splits up the Sprint cost but not the T-Mobile cost…. Split up what sprint cost? on a tmobile family lines 1/2 get shafted with 80/60 bucks for unlimited so if you “split” that up with 5 lines evenly it comes to 52 bucks per each line of unlimited. im sure with more lines it would drop down enough to be the same price around 7-8. however with sprint’s setup i dont need to worry how much my buddy who has 4 lines is paying per line, because its teh same amount as i pay per line already. so i dont get your point about splitting sprints cost. even if it was some absurd case where i personally needed 7 lines, tmobiles total bill (without taxes and fees) would be 340 for 7 lines unlimited everything, sprints would be 315. while there are people out there who are using framily without even knowing the people and having 10 lines. both companies are great and have their uses. i tried tmobile out for 7 months, i loved their customer service, speeds were comparable in places that got signal. however where i live was a place that didnt crap for tmobile signal. so for me im happy on sprint paying slightly more than the tmobile 30 dollar plan but i get 4 bars of LTE everywhere i go. You mean after you finding 6 other suckers to join the Sprint Framily pyramid scheme? You’re joking right? They still charge activation fees. They still lock their phones. They still don’t have free international data or messaging. They still have last years Windows Phones. They still charge overages. They still have a measly 5mhz LTE. They plan to deploy 2.5ghz over the next 3 years. They can’t get network handoffs working properly. Son bought the wrong company and now he’s pissed. He should be pissed at his advisors. But better yet, he should be pissed at himself. Well logically if that was the case he could still sell tmobile the 800mhz spectrum then dump sprint on Dish if they are still willing to buy it. Then buy tmobile , and rename it softbank. Anything is possible. 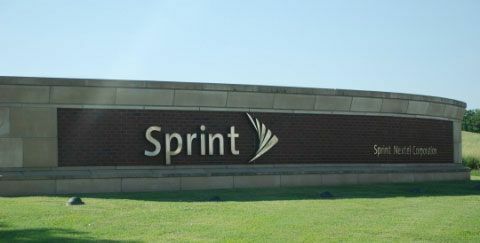 Sprint needs to completely re-brand itself. Get rid of the Spring name and rebuild its poor reputation. T-Mobile has done an excellent job of this…hopefully Son has taken some notes. Sprint has to migrate from CDMA to HSPA and LTE but they wouldn’t. Now it’s too late to do that. If Sprint was running HSPA on PCS, they should have been in much better place. Deploying anything other than LTE or LTE-A at this point would be a waste of time, money and spectrum. Not that I don’t hope and believe this deal will be squashed but citing the New York Post??? You may as well have asked the Magic 8-ball. It’s the US equivalent of the Daily Mail, Cam. I really feel that way about most news sources reporting on their own country’s news. I read BBC for world news, but I don’t trust their British reporting one bit. I read US news sources if I want to know British news. Way less political spin half a world away. A wise man told me the same thing years ago. I don’t trust our media to report on anything- domestic or foreign. They are like a propaganda m/c, kept oiled by “anchors” making millions of dollars for stinking up chairs and sodomizing interns for free. WHy would they want to upset the applecart by risking telling the truth ? Now this denial will make Sprint collapse much faster than expected. I will switch back to T-Mobile in a heartbeat if they could deploy 700 MHz spectrum all over rural SoCalifornia and give the rest of the state some fast 20+20 love. I really love what T-Mobile is doing I’m just hoping they get rid of 2G for good very soon. I’m one of those guys who streams audio for hours on my commutes to and from various cities. I’m hoping Channle 51 issues don’t keep their 700 MHz plans out of my state. If T-Mobile really wants a leg up on Verizon or AT&T they’d find a way to cover all the mountainous areas that are right now SOS. Data isn’t a commodity, it doesn’t deplete with increased usage. You are free to pay Verzion/Sprint/ATT $15/gb to “conserve” your network. Data should be used at its maximum capacity, because that is what is was built for. More data consumption means more buildout- DAS/microcells, more spectrum, network enhancements (antennas, advanced, etc), all of which cost a lot of money. In the city, the costs can be spread over more customers. In rural areas, which is where the OP sees more benefit of deploying 700 mhz, the same tired arguments of not investing in network apply. 5×5 on 700 mhz doesn’t go very far and if a few people in rural areas sign up for unlimited data, it will be just like having EDGE. THis is why verizon and at&t scrapped unlimited data- you cannot selectively offer this plan where your network is strongest. So, reflect on the irony of your statement- you do not want to call data a commodity yet you want to treat it such. > DAS/microcells, more spectrum, network enhancements (antennas, advanced, etc), all of which cost a lot of money. Nope. All of these technologies REDUCE the cost of network deployment, you can Google the case studies yourself. The REAL reason Verizon/ATT scrapped unlimited is because they could charge more for data (price discrimination). Why the hell do you think they keep overages around while keeping buckets very small. They made $1B in overage last year. There are currently THOUSANDS of unlimited data users on their network doing Terabytes of data a month. You’re dead wrong on all points. Sprint just needs to go away, Hesse has done nothing good with that company. Too many promises and no delivery! Spark is more like Flop. Where TMO jumped on the opportunity to recover after the AT&T fiasco. I’m glad I stuck around for the ride. Plain and simple end of story period. Tmobile is definitely fine without Sprint always will be. If he’s desperate he’s going to overpay, destroying the value of the acquisition and likely destroying T-Mobile itself. Bingo. He will offer premium over value to buy the company. I doubt he will destroy T-mobile. I think Son and Legere would be a good team. I don’t think Legere can fix sprint at this time. SPRINT go away we do not want you. There was a time in your history when you were among the best. You got big headed and now your among the worst. We want competition and T mobile is doing it right. Crap I may just go get an I-Pad from them tomorrow since they have the type of promotions that I like I like my note3 I like my service Wifi calling and I plan to get a new I phone when they come with it. And Even then I will keep my note3 for wifi calling when I travel. Because I am part of the T mobile family I think the only way anyone would even consider a sprint consolidation is if the perks were kept and the current CEO ran both companies and kept them separate until the technologies could be properly integrated. I wouldn’t begin to combine the companies for a year at the least we want to keep our service. he wants to complete a century by adding merger to his list. Am no businesses expert but given the route TMUS has been going the last two quaters , DT will not just let TMUS go like that. It’ll even be better if next quarter TMUS turn some of the added customers into profit, we’ll see DT doing more investment than trying to dump TMUS as recent history shows. vodafone and verizon never got along even when they established verizon wireless- vz always called the shots and vodaphone just ponied up cash. It was a marriage of convenience doomed to fail. You don’t compare just where you see fit. DT had total control of TMUS until recently when it went public, that wasn’t the case with Vodafone. So off the base they only have the category ( wireless carriers) in common, operations and management were all different. So your comparison is way off. Who gave VISA for this idiot son to come visit USA??? The deal was never even alive. It was only Sprint that was desperate for the merger. Not T-Mobile. They’re doing just fine on their own. For me the only way to stop T-Mobile from growing fast is to say their making a deal with DT to buy so the customer would have second thought to jump to T-Mobile. Im sooo over Sprint & Softbank. T-Mobile should complete a deal with U.S. Cellular to lease 700mhz spectrum. And maybe a roaming agreement. 700mhz agreement that is. Best for who? Sprint? There is nothing stopping them from having an uncarrier attitude or even replacing their own worthless CEO. They need to worry about getting their own house in order. If they would have got t moblie contracts would come back, and uncarrier would be dead, and gsm would get turned off, and made into cdma. Both companies could benefit from strong financial backing, and sharing resources. T-mobile is doing great now. With Softbank support things can only get better. what resources ? they cannot share network, spectrum or devices. Even billing systems would remain separate for a while. Maybe some employees will be fired but that will be more than offset by subscribers fleeing. Never understood this economy of scale he keeps talking about. Details are important. As for cash, tmobile can borrow just as easily as softbank. Its all taxpayer money that wall street dips into and “lends” anyway. At this point t-mobile as a truly organically growing co. can qualify for loans better than sprint. Scale meaning not having to rely on a larger company, VZW/ATT, purchasing bulk to drive down prices. On another note, there was a interview of John Legere yahoonews concerning the possible merger on 5/2/14 explaining his view. I agree. With the end of the Sprint vs T-mobile era, it would put more focus on a 3 way battle S-mobile vs ATT vs VZW. If Son wanted to run an Uncarrier operation, why isn’t Sprint already doing it? Why on earth would anyone think that a carrier with 100 million customers would feel the need or desire to behave in the way that TM have defined the Uncarrier role? It calls for more than just a price war. It’s about breaking down all the negative ways that companies tie up their customers for extensive periods. Even TM hasn’t finished that challenge yet, since it still uses the EIP as the equivalent of the early termination fee. Sadly, from a consumer perspective, all these corporations are about establishing competitive and ultimately dominant market positions. TM find the Uncarrier approach an effective marketing strategy right now, fighting for share from a very minor position. Give them a similar scale to AT&T and I very much doubt they will feel like playing the Uncarrier quite so much. I sincerely hope this news is 100 percent true. We don’t need a merger with Sprint. T-Mobile has been doing just fine lately and will only get even better. Sprint would kill all the progress Magenta has made. It’s funny how John Legere’s outlook about a merger with Sprint is very positive. With Sprint’s network upgrade is projected to be complete in July, he could get credit for enhancing their combined network. Well, it’s about damn time some good news comes out concerning this mess of a situation. T-Mobile is better off and so are the American consumers. Sprint needs to focus on in house issue resolution while turning “network vision” into network reality. The fact of the matter is that talking about a merger is that classic spend and waste that we’ve all come to know and hate about Sprint. Spend money that they don’t have needlessly all while wasting resources and consumer time and money. I think it best you stick to your own, Sprint. T-Mobile, I’ve fought strong and proudly to contribute to hearing those words… Sprint Merger Dead and I will continue to advocate for Magenta and her customers best interest until this entire mess of nonsense is put to rest once and for all, as so many consumers tired of the status quo do daily. I have faith in Magenta andi look forward to the next pain point in this industry is exposed and laid to rest thanks to the brilliant mind of CEO John Legere. I agree with a majority of the comments on this thread and that T-Mobile just needs to focus on themselves I mean you just had one hell of a quarter with 2.4 million added subscribers keep this up and you’ll become the 3rd largest in no time and the rate at which they are updating there network is by far faster than any other carrier out there and you cant complain about there pricing seeing that they are one of two carriers this allowing unlimited data and there speeds in some places are faster in download and upload then Verizon or AT&T. Your reasons are all about coverage. T-Mobile and Sprint don’t necessarily have to merge in order to combine spectrum. They could create a separate holding company that would manage the spectrum of both companies, and Sprint and T-Mobile would each have ownership of this 3rd company. That way consumers get the benefit of great coverage, but there would still be 4 major carriers, so the FCC should approve. We have 2 big companies and 3 smaller companies….. the 3rd being US Cellular Corp (USCC) which is actually the 5th largest company so they would become the 4th carrier if Sprint and T-Mo were to Merge then I could see Dish either buying them out and expanding the coverage areas or buy a percentage of the company and giving USCC there Spectrum then expanding. This “new” company is nothing more than a spectrum-sharing company. All it does is manage the spectrum and possibly the towers, too. This company only worries about the network. Nothing else. It doesn’t sell access directly. It sells it through T-Mobile and Sprint, or anybody else who wants to pay for the privilege of using this combined network. And since you brought up Dish, they could even be part owners, too, by donating their spectrum for equity in the company . They could either create their own brand, or just take a piece of the profits from this holding company without even having to worry about running a wireless telco business. Thanks for that info. Sounds interesting. I actually hadn’t heard about that, but it looks like a step in the right direction. I hope that may be the spring board for more things like that in the future. Forget for a moment that this is Masayoshi Son talking. This is an interesting idea that might provide a serviceable alternative to a merger. Son was noticeably quiet about his interest in acquiring TM in this presentation, presumably because he would have ceased to look like a potential ally to the rest of the CCA membership and more like the corporate dragons, AT&T and Verizon, that he was talking about trying to slay. Still, this type of cooperation might well offer some answer to capacity and availability issues in the rural markets. With markets in only 26 states, I don’t think US Cellular is considered a nationwide carrier and therefore wouldn’t be deemed as a genuine 4th competitor in order to justify the merger of Sprint and TM. It would be a considerable challenge for the company to acquire sufficient spectrum in the other states to reach nationwide status. I agree that, with Dish as an active participant in the market, it would be a different consideration entirely, but you have to have that cart behind the horse, not in front of it. In other words, the FCC and DoJ shouldn’t approve a merger of Sprint and TM on the basis of speculation about the actions of Dish, but only if Dish have already irrevocably committed to becoming the 4th player in that market scenario. This plan that you have would eliminate the reduced costs they would experience by shutting down redundant stores and other operations. Yes, you’re correct. But I believe there are still a lot of Metro PCS stores. If running “redundant” stores were that great of a hindrance, then I would think T-Mobile would have shut those down. In fact, the combination of spectrum has probably been one of the best things that have happened for both Metro PCS and T-Mobile and both brands are thriving. Except in the original 15 markets, all MetroPCS stores are owned by third parties. Thanks. Didn’t realize that, but that even strengthens my argument more. These Metro stores are using the TMO network and directly competing with the Magenta brand, and they aren’t even owned by TMO. However, it has been a great success not only for T-Mobile, but also for Metro PCS (and whoever owns those stores). This really goes to show that more than one brand, and even more than one company can share the same network and both can be successful. It would be really nice if T-Mobile added a few more dollars to the $30 plan so you could get what you pay for ;). If Sprint does not buy TMUS, is it inevitable that either ATT or VZ will buy Sprint from SoftBank or else it will go out of business? In other words, isn’t Sprint languishing and failing, thus in need of critical care support? You really do not want people to read tmonews do you? You must since you plaster ads that cannot be dismissed. Not just once per visit but constantly. It’s a PITA and you’re going to lose people if you keep this cråp up. I always wonder how would that fall out if a cellphone company file for bankruptcy. how would the spectrum they have? I imagine that any filing would most likely be under Chapter 11 (reorganization) rather than Chapter 7 (liquidation), but in either case, based on some of the legal rulings available online, it appears the FCC must approve the bankruptcy trustee’s transfer of control applications for the sale of license to a qualified purchaser. In the event that a qualified buyer couldn’t be found, it looks like the FCC would be able to re-auction the licensed spectrum. The merger isn’t dead, but I wish that it was.